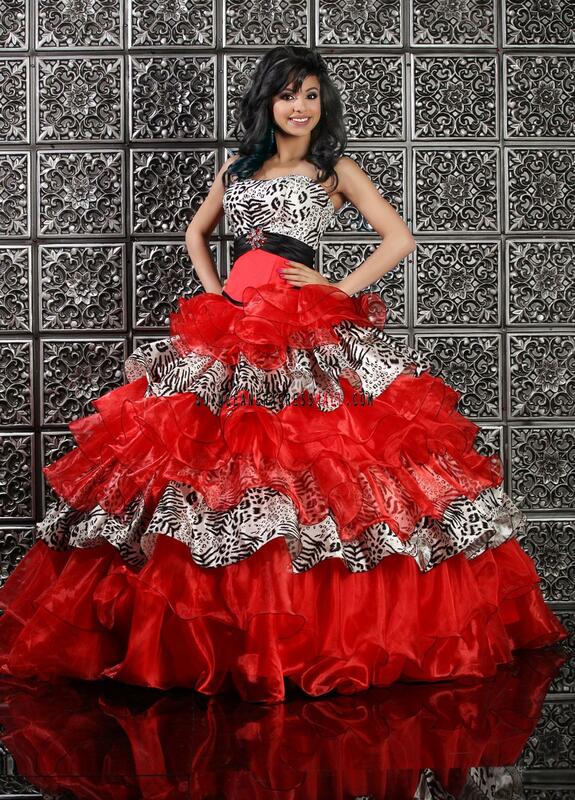 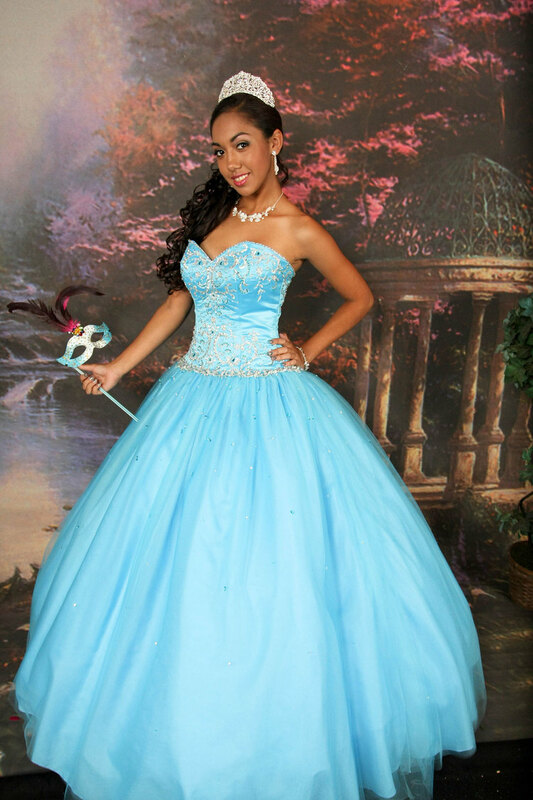 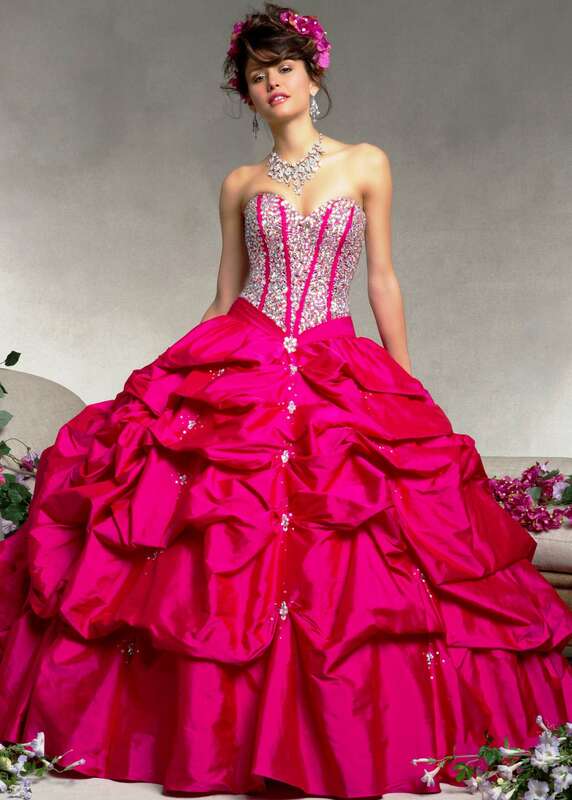 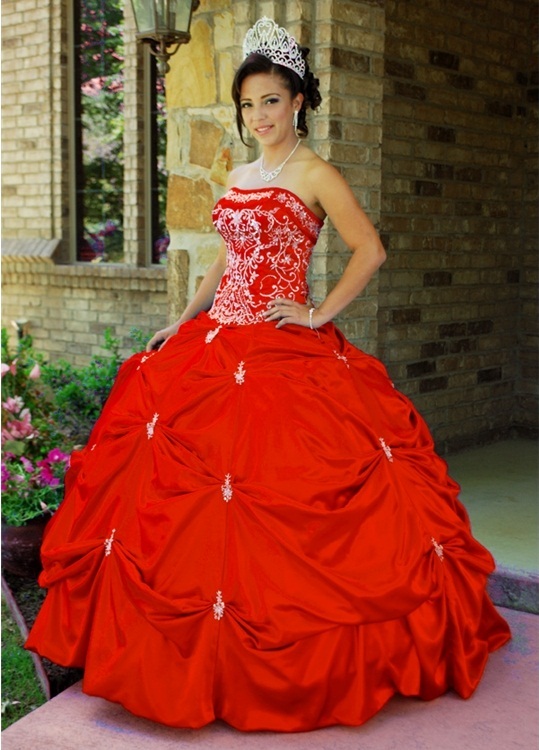 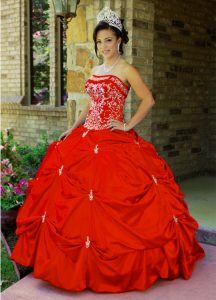 A red Quinceanera attire definitely makes you look gorgeous and appealing on the special occasion of your fifteenth birthday. 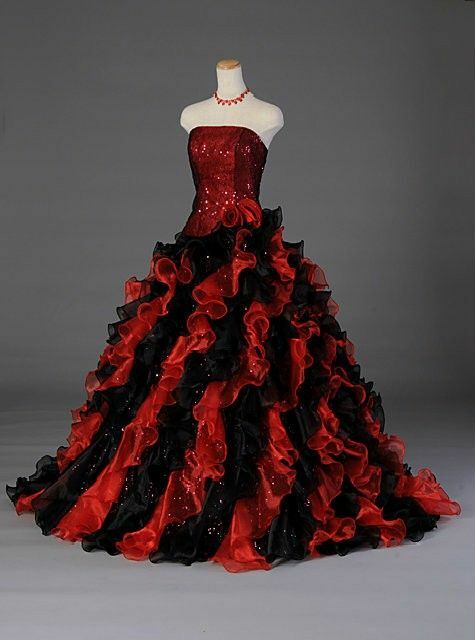 Make the red attire look more attractive by combining shades of black, gold or even silver. 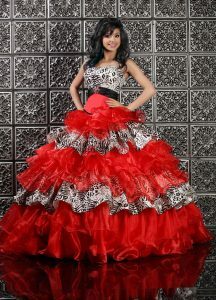 Black or white frilled or flowing gowns coupled with prints of red also look stunning. 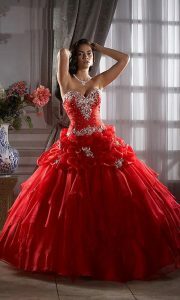 Combine your entire getup with sparkling diamond or gold jewelery. 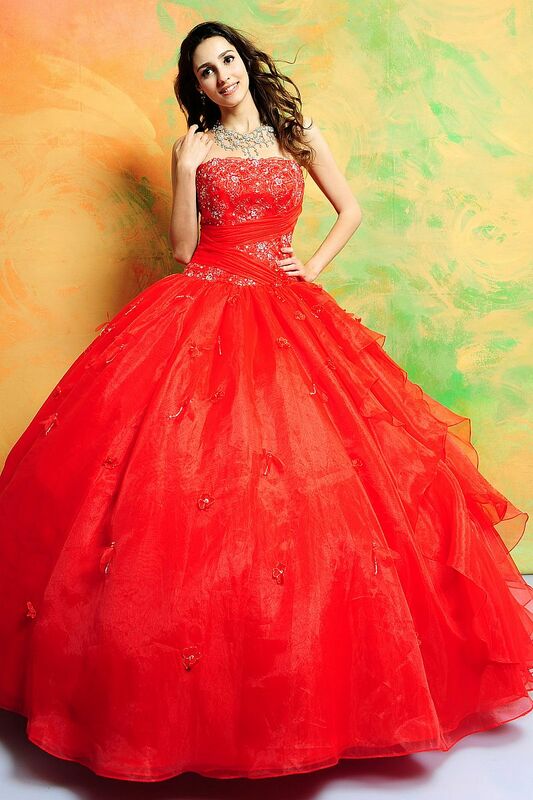 Ruby studded necklace and rings are also an amazing choice. 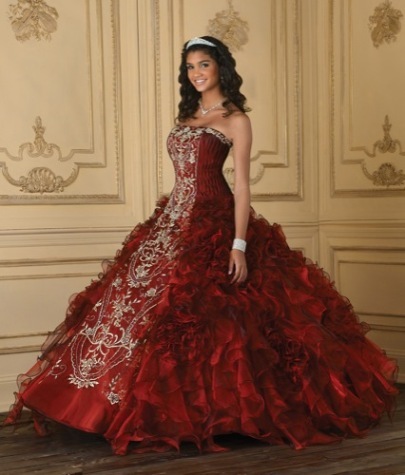 Your elegant getup is definitely incomplete without a tiara or a silver crown studded with gems.